Product prices and availability are accurate as of 2019-04-14 19:42:23 EDT and are subject to change. Any price and availability information displayed on http://www.amazon.com/ at the time of purchase will apply to the purchase of this product. 55 days. This is the bush bean by which all others are judged, a classic favorite for many years among gardeners across the U.S. 75 Seeds. The pods are dark green and about 5 1/2 inches long, very plump with tender white seeds, and fairly straight. They arise on space-saving 16-inch plants, and are flavorful and tender. 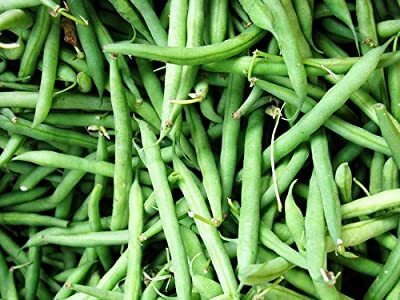 Easy and trouble-free, even for the new gardener, this snap bean is widely adapted across the U.S., and is compact in the garden. For best harvest, succession-plant every 3 weeks or so from early spring till late summer Hardier than pole beans, bush snaps can be direct-sown after all danger of frost.